Los Angeles Jewish Home's Blog: Why Does Aging Skin Bruise So Easily? You don’t remember bumping into anything, but there it is: A big, angry-looking purple bruise on your forearm. How did it get there, and why do bruises like that seem to be popping up on your arms and legs more frequently as you age? Bruises come from injury to the small blood vessels (capillaries) near the skin’s surface. Blood leaks from the capillaries and remains trapped under the skin. Normal bruises are usually tender, change colors, and go away after a week or two. Solar purpura, on the other hand, don’t hurt, and often get darker, progressing from red to deep purple before they fade. They can take several weeks to disappear. As our skin ages, its structure begins to weaken. The outer skin layers grow thinner and the capillary walls become more fragile. At the same time, the layer of fat under the skin thins, providing less padding and insulation. Although bruising can’t be avoided, sun exposure worsens it by weakening the skin. Also, blood-thinning medications, such as Coumadin and aspirin, contribute to bruising by slowing the blood’s ability to clot. 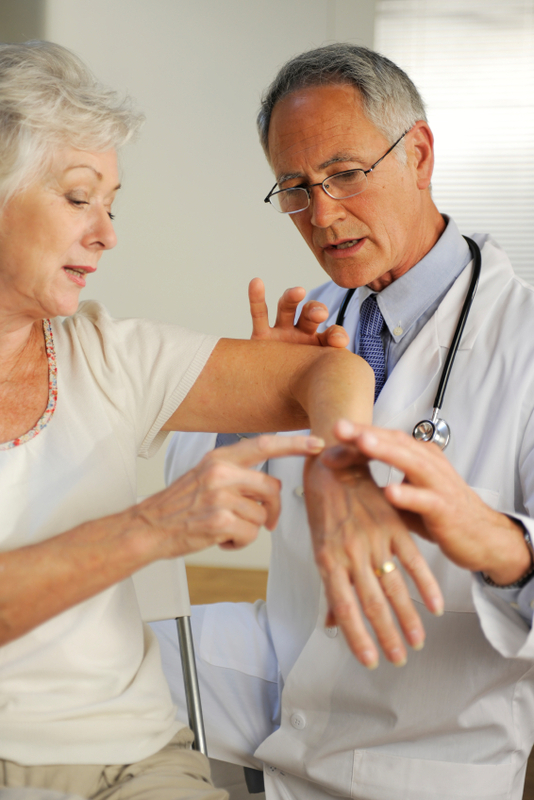 Corticosteroids, prescribed for a variety of conditions including rheumatoid arthritis and asthma, cause thinning of the skin, which also promotes bruising. On rare occasions, bruising may indicate medical conditions such as clotting or coagulation disorders. If your bruises are painful, you experience abnormal bleeding in other areas, or you start bruising when you’re ill, be sure to see your physician. If you see bruising on a loved one and worry about physical abuse, you should know that bruising caused by abuse tends to appear on different parts of the body -- such as the face, neck, back and chest – rather than on the hands, arms and legs. Still, it’s a good idea to talk to your loved one if you have any concerns. Sun exposure makes the skin weaken more quickly, so protecting yourself from the sun can help delay this process. Keeping skin well moisturized can also lessen bruising. Do both at one time by using a moisturizer with sunscreen. The most effective treatment for bruises is time. Eventually, the body reabsorbs the blood, and the bruise disappears. Cosmetics may help hide bruises in the meantime.